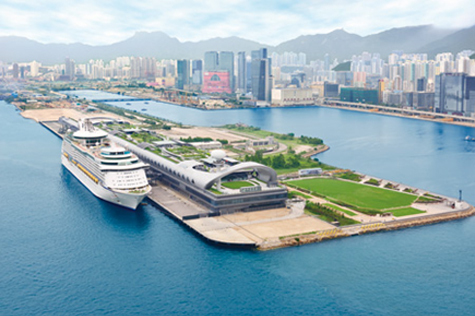 • Well-equipped with cruise berthing facilities, including the Ocean Terminal located at Tsim Sha Tsui in Kowloon, as well as the Kai Tak Cruise Terminal commissioned in June 2013, which is located at the tip of the former Kai Tak runway and can accommodate the largest cruise vessels in the world. • Hong Kong with a unique cultural blend of east and west, combining modern architecture with traditional antiques, local cultural characteristics with British colonial relics can be observed everywhere. • The Government is committed to developing Hong Kong into a cruise hub in the region and has formulated a set of comprehensive strategies and directions for cruise tourism development to seize the opportunities brought about by the growth in the international cruise tourism market, as well as to ensure the balanced, healthy and sustainable development of cruise tourism in Hong Kong. • The specific strategic directions pursued by the Government in developing cruise tourism include driving more ship deployment to Hong Kong, cultivating Hong Kong as a cruise destination, diversifying cruise tourism market and elevating Hong Kong’s profile in the international cruise trade. 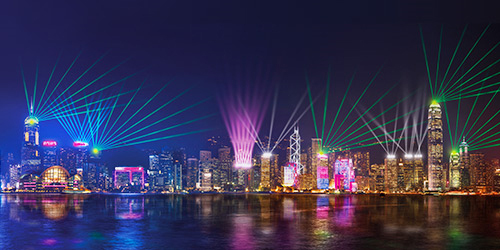 • For more details on the "Strategic Directions and Initiatives on Cruise Tourism Development in Hong Kong", please click here.